Bon bini, welcome at Villa Ocean View! With a brilliant sea view from multiple sides of the villa, Villa Ocean View is located on one of the most beautiful places of the island of Curaçao: Vista Royal. Villa Ocean View is brand new (september 2010) and has a breathtaking view. part of the beautiful area of Jan Thiel, close to the socalled Spaanse Water (Spanish Water), at the south-east corner of the island. A day at the beach, diving or snorkelling, eating out or enjoying the wonderful Caribbean sunset with a cool drink, are only a few of he countless possibilities within close reach. The villa is spacious (250 sq.m) and airy and built under architectural design. Villa Ocean View is tastefully decorated and is perfect for relaxing. With 3 comfortable bedrooms and 2 pleasant bathrooms, this villa is suitable for max. 6 people. From the delightfully refreshing private pool (6x8 m) and the adjoining terrace with pooldeck, you can enjoy the beautiful view over Spaanse Water. 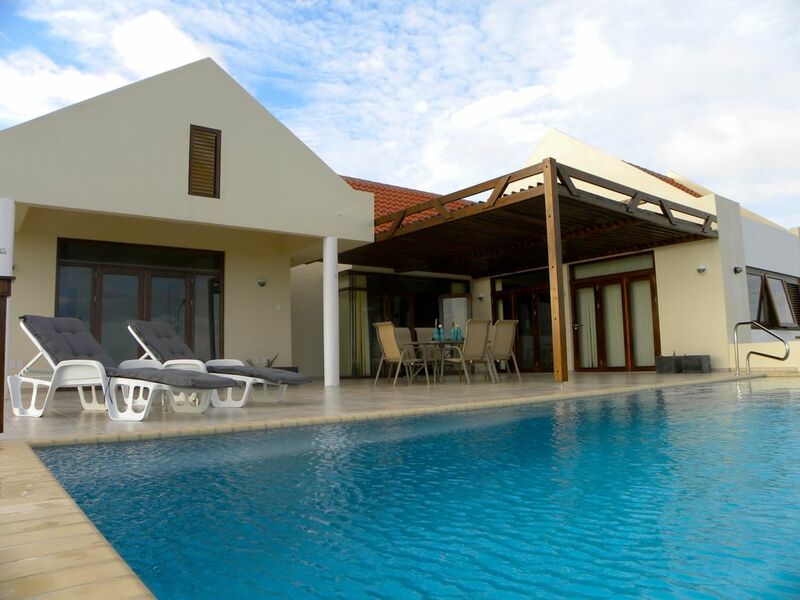 Villa Ocean View is also available for long term rental. Even then, the view will never lose it’s attractiveness. The car can be parked on the villas own property, the surroundings measure 1308 sq.m., behind an electric fence.